this is the new lay-out of Hataken's studio: Impressive! i like this post and nice pics you shared ! you have keen eye Gagarin! why don't you post that foto of Ott's studio? a messy studio can be cool, no? anyway, looking forward to your pic when all gear is in its right place! 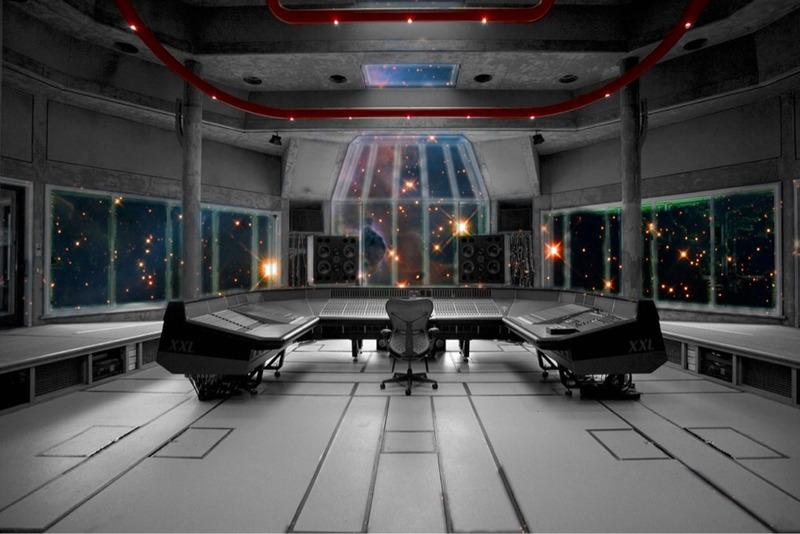 is this a sound studio or the bridge of the battle star galactica? It's a studio in England with space shopped into the windows Normally has a beautiful view of a little lake and trees. is it a "sitting" setup? yes well, I rearranged it a bit for the pic. when are you gonna post a pic of your set-up? So I cleaned up and got myself a stand for the Nord. It's a small setup, but it works. PS: It's not a fucked up panorama. Just two pictures because it wouldnt fit in one. what is that thing (black & red with knobs on) on the right? That's an old Virus A (not plugged in or anything). The other is a Nord Lead 1. I started out in virtual analog (digital) synths. 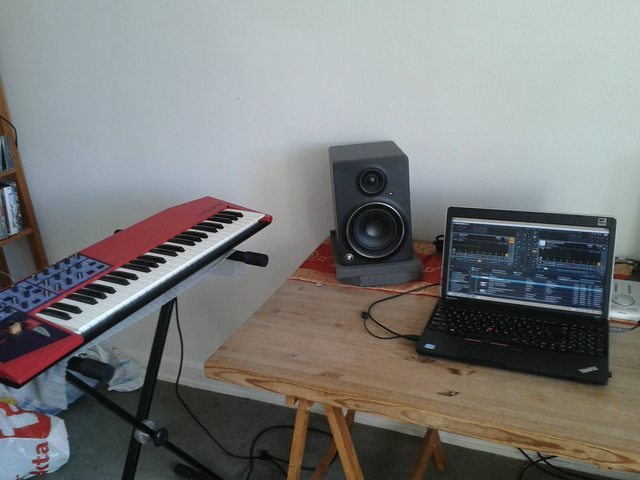 Now I'm considering adding an analogue monosynth to the setup. Maybe a Korg MS-20 Mini. If you're referring to my audio interface it's close, Iurii. It's the PC equivalent, RME Babyface. Quite a lot of these outboard synths are relatively new and haven;t been used much on my recordings so far. The laptop is new too and has a few new software additions too. 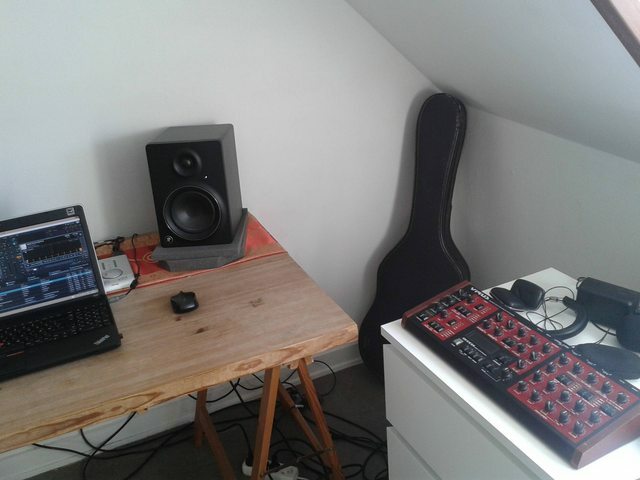 Synths run into the desk and I use the mute function on the Mackie Mixer that also sends the otuput to an Alternative output which runs into the audio interface. I just unassign the audio output on audio track when recording. I think I've just about got the right balance between software and hardware now. Definitely a bit more fun with a bit of hardware to tinkle on. This pic comes up all the time on acoustics threads on Gearslutz etc. Blackbird Studios in Nashville. Studio C.
I want to just listen to them ATCs.